Today I ran the Kungsholmen Runt half marathon. I finished in a time of 1:54:35, my personal best time for this distance. It's about two minutes faster than my time on Sankt Eriksloppet from last year. 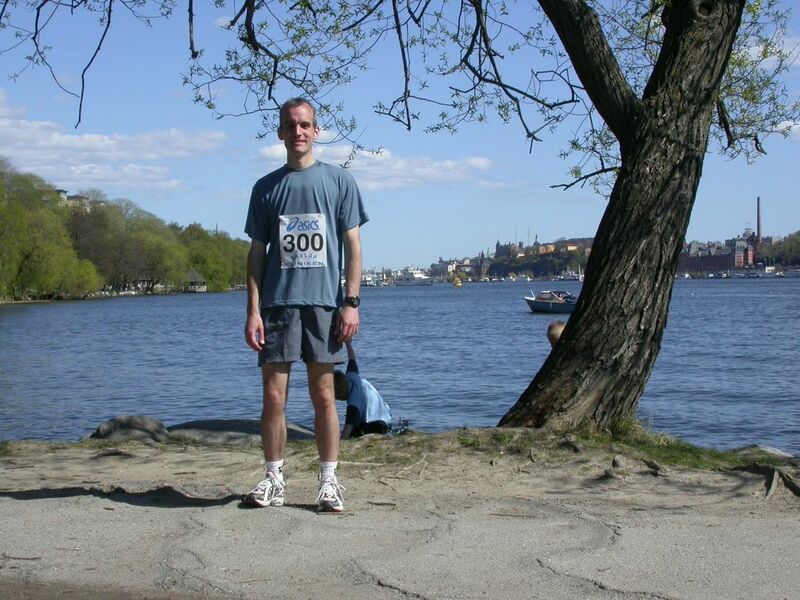 I have just a few more weeks before the Stockholm Marathon. I'm feeling more confident about it but I know it's going to be really hard. I'm planning to do another long run next weekend, and also to do some interval training during the next two weeks. Then, it's time to take it easy, get a lot of rest, and eat right in the days leading up to the marathon. This will be my first marathon, so I'm not really sure what to expect. To be honest, the distance is a bit intimidating! I ran the second half of the race with another runner named Anna. I'd like to thank her for running with me. It was much easier to stay motivated running with another person! After the race today, I sat on the grass of Rålambshovsparken a few meters from Lake Mälaren and enjoyed the lovely Stockholm sunshine. This city is really amazing when the weather is nice. 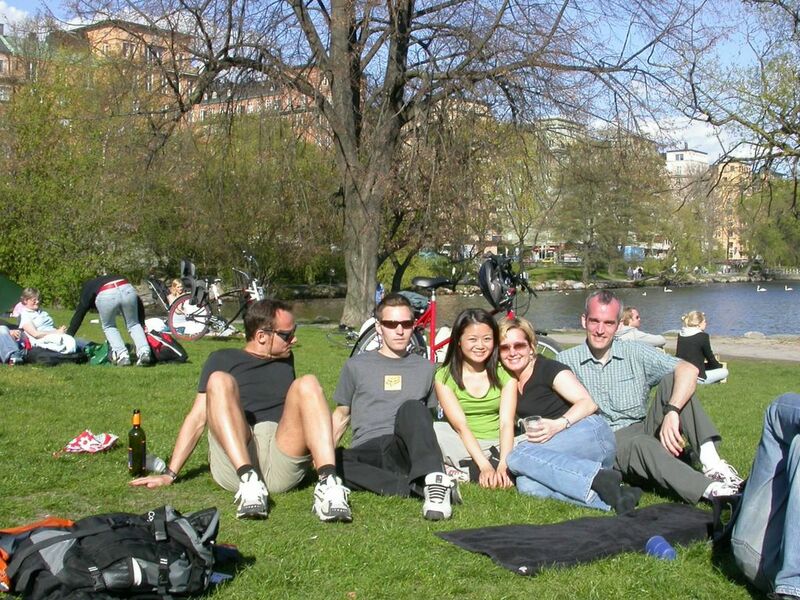 I had a picnic with Lisa, Lotta, and some of Lotta's friends from Puls.se. Tonight I'm going to Åsa & Kevin's place for this year's repeat of Åsa's 25th birthday party. It'll be a nice way to wind down after the race.